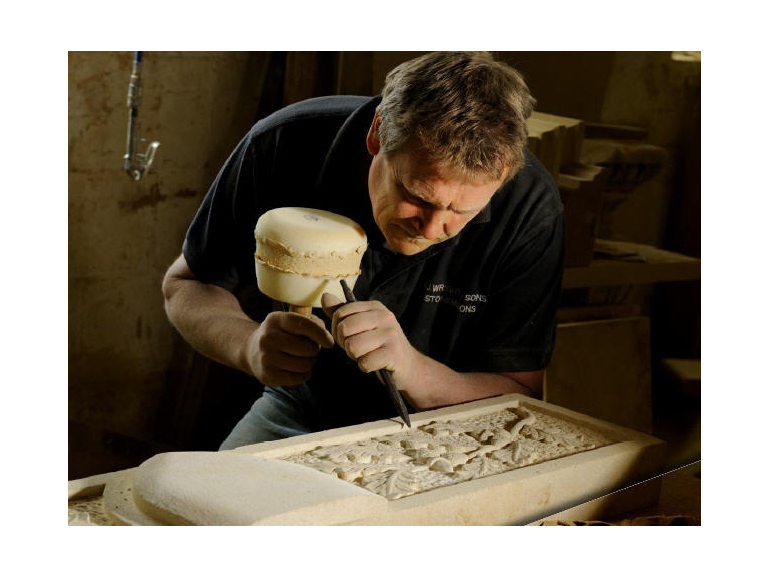 Stonemasons, Wrights of Campden's Banker Masons in the Cotswolds can create bespoke items for your home or garden from beautiful Cotswold Limestone and other materials. Garden ornaments, kitchens and bathrooms, stone flooring, fireplaces, staircase and much more. Serving Gloucestershire, Worcestershire, Warwickshire and Oxfordshire - The Cotswolds and beyond! Serving Gloucestershire, Worcestershire, Warwickshire and Oxfordshire, Wrights of Campden is a well established family run Stonemason business creating beautiful products for homes and gardens from Cotswold limestone and other stone materials. When you contact Wrights of Campden in North Cotswolds to commission a Cotswold stone item, they can use photographs, personal ideas or architectural drawings to create a fantastic Cotswold Limestone masterpiece. Alternatively, their Banker Masons can offer inspiration for new, individual designs. Wrights of Campden are renowned for world class stonemason craftsmanship and are proud to provide a service that is second to none. Cotswold Limestone is individually sourced for each project and every piece is tested for flaws, then dressed and sized with fine accuracy by their stonemasons, ready to be carved. Occasionally, Wrights may use Ancaster, Bath, Hornton and Portland Stone but this depends on the project type. Whether it’s an individual Cotswold stone piece made to order or you would like to choose from existing designs, contact Wrights of Campden today. Beautiful hand finished fireplaces can be made from Cotswold Limestone or Ancaster, Bath, Hornton and Portland Stone. Call Wrights stonemasons today to discuss your design ideas with their Banker Mason team. If you want to design a dream kitchen or bathroom, you should consider Cotswold Limestone stone for your worktops, splash backs, basins, flooring and more! A striking addition to any kitchen or bathroom - it will really wow your guests. From oval windows to oriel windows, Wrights of Campden's stonemasons make stunning Cotswold stone window surrounds to order. Call today for inspiration or to discuss your designs. No matter what your internal or external project, you should finish the job off with superior stone flooring from Wrights of Campden. Click HERE to visit the Wrights of Campden website to view the beautiful Cotswolds stone range – there will be something to suit all tastes. If you have recently had your garden landscaped, moved into a new home, or you want to enhance your existing garden, why not commission Wrights of Campden's stonemasons to craft unique garden ornaments, from Birdbaths & Sundial Pedestals, Benches & Tables, Bowls & Urns and Fountains & Ornaments. Wrights of Campden have a wide range of building stone in stock that can be used for a variety of projects. Please visit the website for examples. If you want to find out more about Wrights of Campden, their team of Banker Masons, or their Cotswold stone products, please call today. Please Mention The Best of The North Cotswolds when contacting Wrights of Campden. The Best of the North Cotswolds & Wrights of Campden would like to know your views so that we can provide a better service to all our users. Please be so kind as to write a review. For Goods, Services, Businesses & Events in the South Cotswolds, please visit www.thebestof.co.uk/stroud - thank you. Thank you once again for transforming our entrance. Everybody thinks the steps are wonderful! Our new mullioned window has been much admired by village residents. As promised I am sending you some photos of the finished project. Thank you for giving us a quality product. We've just had the headstone put in place in our little pet cemetery and it looks great. I have been meaning for such a long time to telll you how pleased we were with my mother's headstone. It is perfect - exactly as we wished. Our customer is over the moon with her worktops! So thanks for all your patience!